In the world of basketball, everyone’s talking about the Houston Rockets — and not for the right reasons. In Game 7 of the Western Conference finals, they were up against the Golden State Warriors, the team to beat going into the finals for the fourth year in a row. The Rockets had spent the last year building a team just to beat them, adopting a strategy to have guys who can score three points. With the advantage of home court and a double-digit lead going into halftime — they went on to lose, missing 27 three-pointers in a row in the last 30 minutes of the game. What happened? 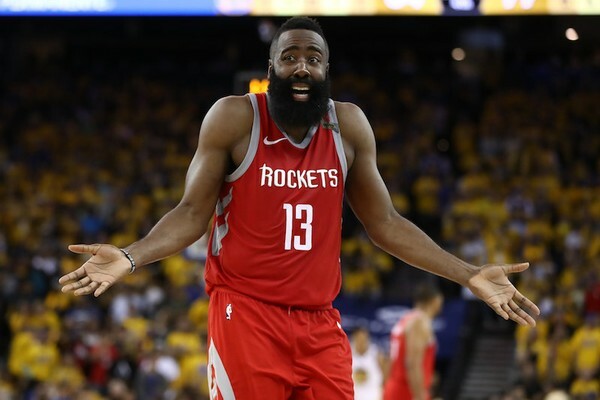 Missing 27 times in a row wasn’t just a case of bad luck, it was statistically improbable: If the Rockets had made even one-third of those shots, they would’ve won. Except, that doesn’t sound like the mental toughness mindset of a world-class athlete. Why did they miss all the opportunities? Obviously, they had developed the physical competency — where was the mental conditioning to perform when the going got “tough”? Once they were ahead at halftime, did the Rockets start to focus on the outcome, instead of the process? Mental toughness isn’t just about coming from behind (like they did in Game 4) but also about being able to focus in the moment when you’re excited about being ahead, as well as when you’re starting to panic because you’re losing the lead. As psychologist Sian Beilock says, “Emotions use up our ability to focus on what we want to and get rid of what we don’t and that’s one of the ways we can spiral into poor performance.” Missing 27 three-pointers in a row, for example. Here’s where mental training comes in. We can learn to shut off, or at least lower the volume on, that inner critic who doubts whether we can pull it off — trust that we’ve done the work, zoom out and let the shot go without thinking about how to do it or being attached to the result. First, we have to train ourselves to believe that we are capable of doing it. Like Lebron James did when he created a video highlight reel of all the different ways he scored three-pointers — making threes off the dribble, catching the ball and making threes spotting up — and watching it every night before he went to sleep. Then we have to practice under duress, to develop the confidence that we can handle whatever comes up. If the Rockets insisted on sticking to the three-pointer strategy even though the team was running out of gas, they should have immersed themselves in adversity training. Did the team practice making three-pointers at the end of practice, at the highest point of fatigue? Do drills specifically focused on the “tough shots”? Or, how about focusing on “high leverage practice.” As Daniel Coyle tells the story, when Steve Kerr, the former NBA guard was having trouble with his three-point shots and shooting thousands of three-pointers in practice didn’t work, one of his coaches, Chip Engelland, realized the problem wasn’t the shooting. It was the pressure of coming into the game cold. So here’s what they did: Engelland and Kerr would sit on the bench, chatting casually. Without warning, Engelland would yell NOW!, and Kerr would have to go shoot a single three-pointer. He’d return to the bench for more casual chatting until Engelland would again yell “NOW!” and the process would repeat for 30 minutes, shooting only eight or ten times. It worked. Kerr’s game performance vastly improved and Kerr, who’s now coach of the Warriors, is presumably sharing mental training techniques like this with the team. If you’d like more insights on why we choke, the surprising reason more gifted performers are most likely to bomb and practical techniques to prevent it from happening, check out my podcast interview with Sian Beilock: Choke: How The Secrets of the Brain Can Help Get It Right When You Have To.